With the support of Healthy IU, Bernetta Hartman committed to a journey that led not only to a 105-pound weight loss—but also to the life she wanted to gain. If you ask IU School of Medicine Executive Assistant to the Chairman Bernetta Hartman about her family, she is sure to light up. So, it's no surprise that Bernetta’s healthy change was motivated by family. There was no way I was going to miss that experience with my daughter. I knew I needed to lose weight. In March 2014, her daughter was invited to attend a prestigious dance convention in New York City. They were excited to visit Times Square and Central Park together, but Bernetta feared her health would hold them back. 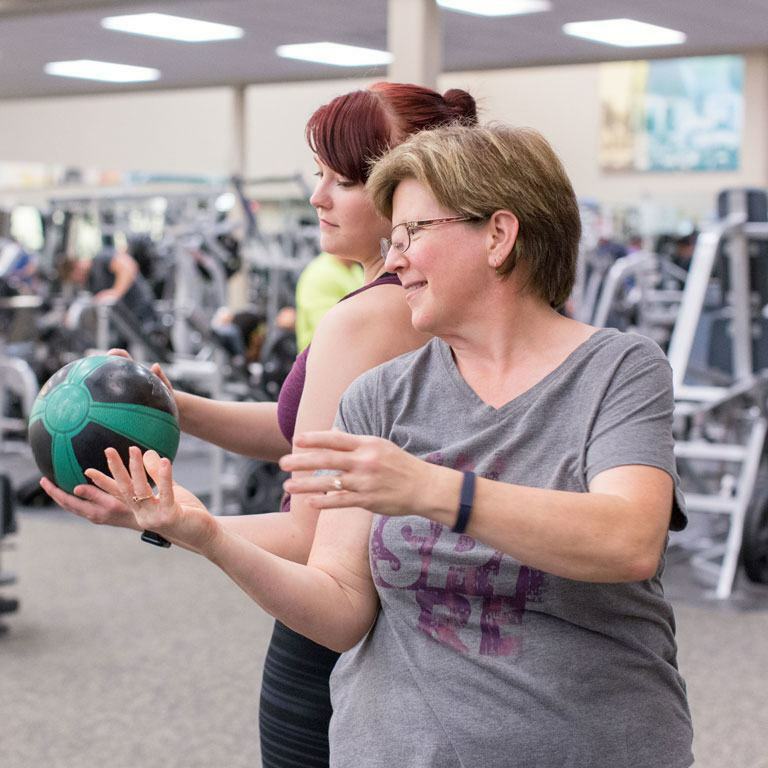 For the first few months of her journey, Bernetta worked to integrate more physical activity into her daily routine. Healthy IU’s Feel-Good Workstation Movements became one of her favorite ways to stretch and move every day without even leaving her desk. Small daily improvements are the key to staggering, long-term results. Her next small, daily improvement came with a big reward. Giving up diet soda resulted in a 12-pound weight loss. With that boost of confidence, Bernetta was ready to try other ways to improve her health, including the use of essential oils to help promote mental and emotional well-being. In the beginning of fall semester, Bernetta enrolled in Healthy IU’s research-backed Diabetes Prevention Program (DPP). “That was a game changer,” she says. In the 16-week program, she learned how to overcome her old habits to create new, healthier ones. For example, instead of drinking a tall glass of sweet tea in the afternoon, Bernetta goes on a quick walk to reenergize. “I feel more productive at work,” she says. It’s not about a weight loss goal anymore. It’s about how I feel. And I feel so much better. 2015 has been filled with milestones—including the trip to New York with her daughter—that promise more growth and proud moments in Bernetta’s journey ahead. Once a person who rarely exercised, Bernetta has become a regular in Chair Yoga class. “My doctor is blown away by my flexibility and range of motion,” she confides. I will continue this journey to a healthier me. Now she has the confidence to do things she never thought possible, including run a 5k race. She used to say “I will never be a runner,” but with the support of a “Couch to 5K” plan, Bernetta is ready to overcome her doubts and prove how far she’s come. 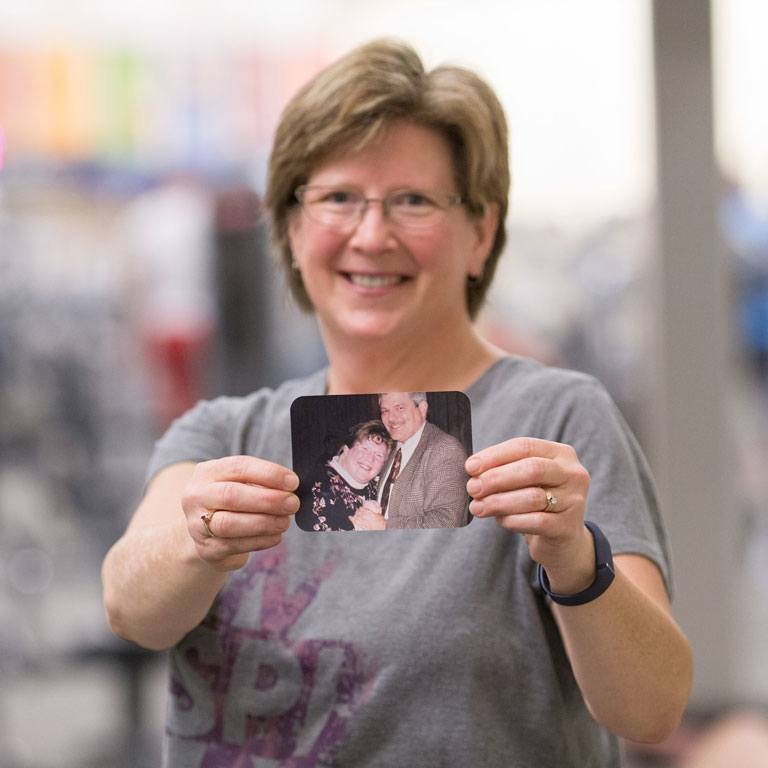 She's proud to say, "I will continue this journey to a healthier me." 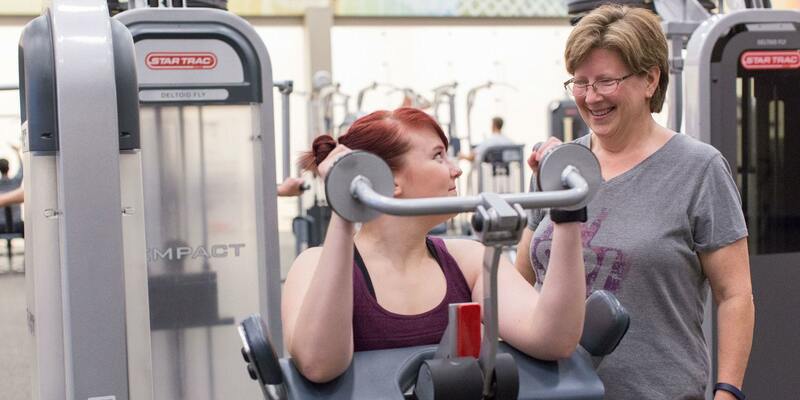 As of November 2015, all of her small changes have added up to a 105-pound weight loss. But for Bernetta, the transformation is more meaningful than numbers on a scale. It means more time spent with her family. “I used to have to take naps on the weekends, but now I’m doing more things with my family than I ever have,” she says. Bernetta’s journey has inspired her daughter to pick up healthy habits, too. Going to the gym has become one of their favorite times spent together. 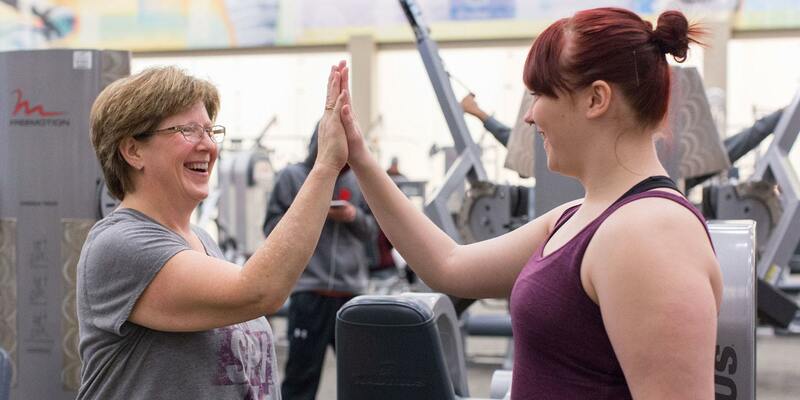 Bernetta’s journey has inspired her daughter to pick up healthy habits, too. 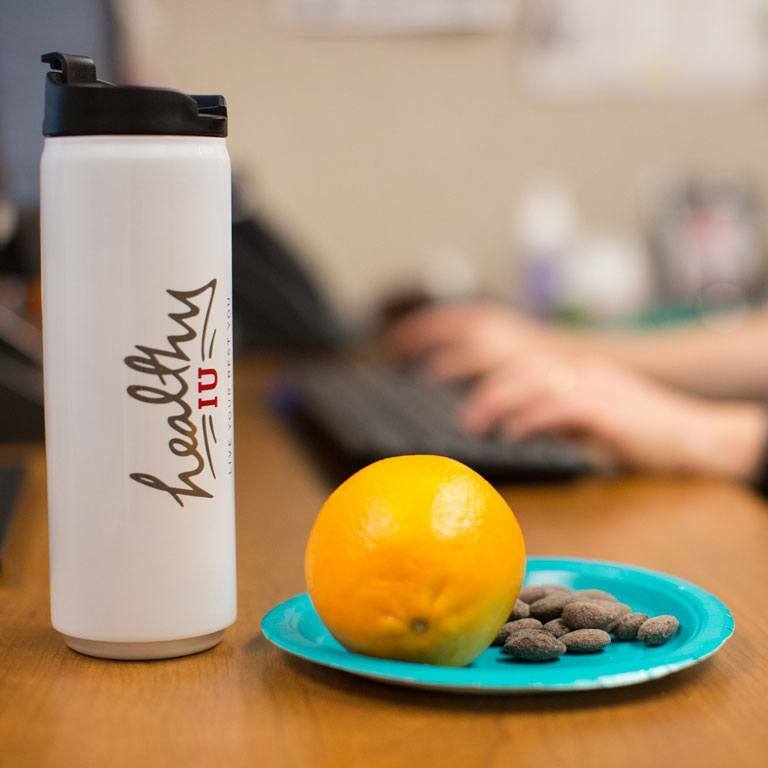 Healthy IU offers programs and resources to help you make small steps toward your wellness goals. The 16-week group program explores how to incorporate more movement and nutritious foods into your daily life. 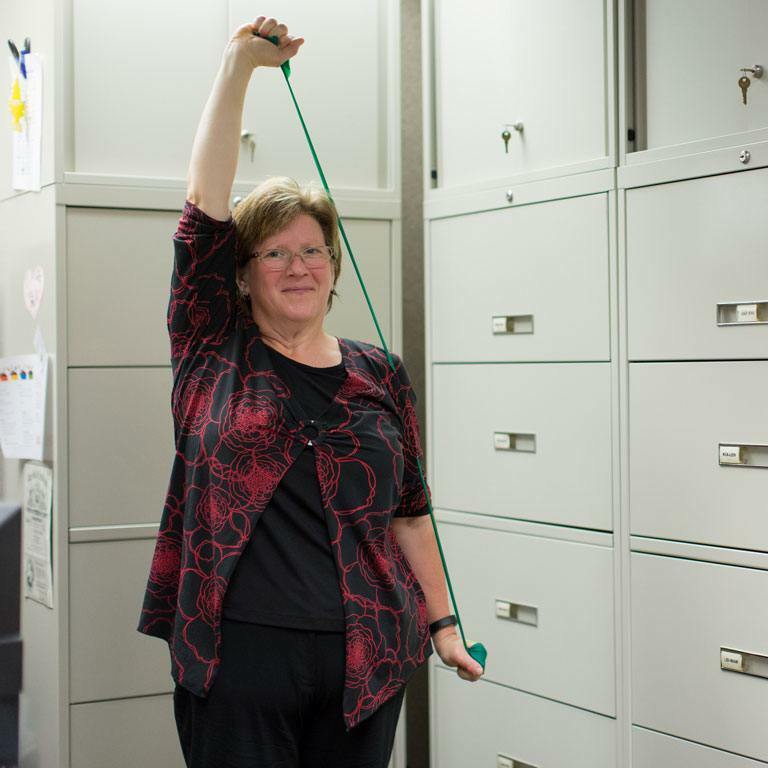 These exercises help you get active without having to leave your desk. Download the Workstation Movements handout to begin incorporating activity into your daily life. There are a variety of programs offered on all IU campuses. Explore all the ways you can be your best at IU.